It is no surprise that Apple has been conducting a lot of research and development in the field of healthcare applications. 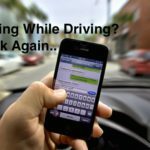 The company is on the path to some pioneering R&D work when it comes to leveraging Apple products that consumers use in their daily life. 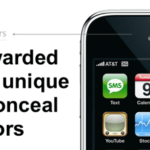 1 How Could the iPhone Collect Health Data Using Optical Sensors? 2 How Do Sensors Work? 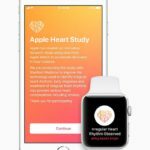 Apple has not only been spending resources in various biometric sensor work, but they have also started recruiting specialists that can help with sensor and health related laboratory work. 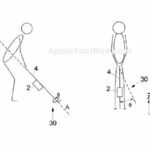 A new Apple patent, 9,723,997, recently approved sheds some light on how Apple plans to use the iPhone’s camera, ambient light sensor and proximity sensor to compute various health based measurements. 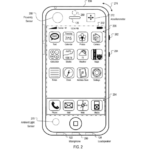 How Could the iPhone Collect Health Data Using Optical Sensors? The iPhone may use one or more cameras and the proximity sensor to emit light into a body part of a user touching a surface of the electronic device. And use the camera(s), the ambient light sensor, and the proximity sensor to receive at least part of the emitted light reflected by the body part of the user. 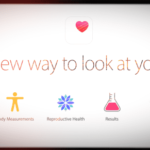 The iOS can then compute health data of the user based upon sensor data regarding the received light. 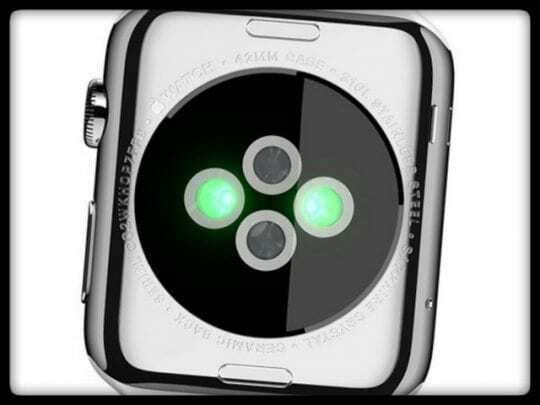 Apple may not be the first company that is trying to experiment with non-invasive monitoring. Echo Labs has been working on a wearable prototype that can measure oxygen, CO2, PH, hydration and blood pressure levels in the blood, by using optical signals. 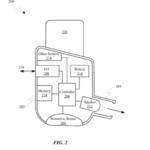 The patent also suggests that Apple could equip the iPhone with accessories that have electrical contacts. These contacts can be utilized on the user’s body to get a refined electrical measurement to compute more accurate health data. 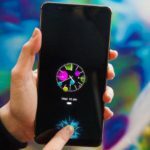 The thinking is that the proximity sensor may be a multiple light wavelength sensor (such as a sensor that utilizes infrared and visible light, infrared and red light, and so on). The ambient light sensor may be a silicon ambient light sensor, an indium gallium arsenide ambient light sensor, and another kind of ambient light sensor. 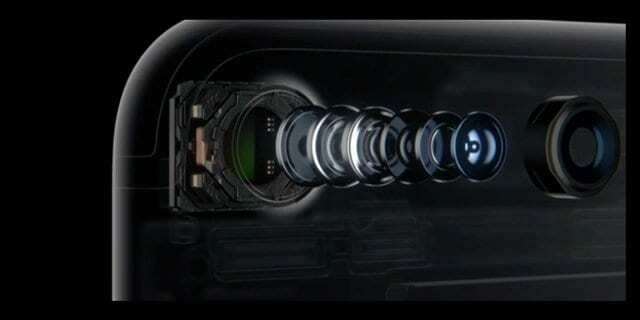 The iPhone camera may be both an infrared and visible light camera to facilitate taking the measurements. 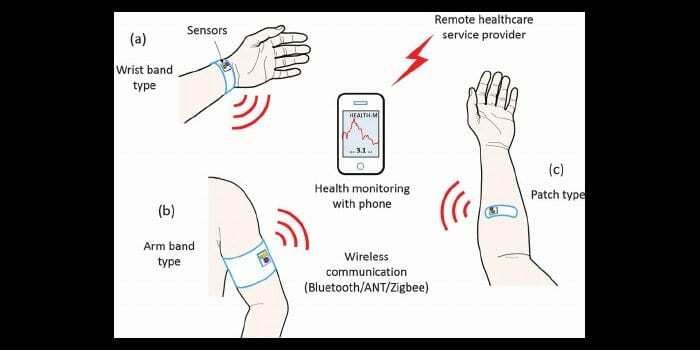 The health data collected could include a blood pressure index, a blood hydration, a body fat content, an oxygen saturation, a pulse rate, a perfusion index, an electrocardiogram, a photoplethysmogram, and other such health data. 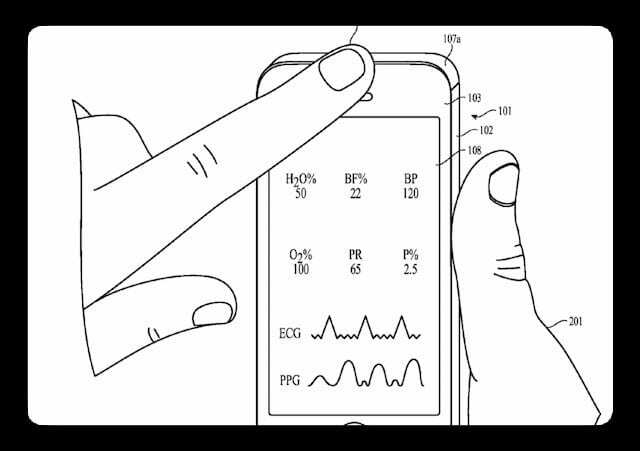 This technology could definitely be a game changer in personal health care and fitness if Apple integrates the technology in future iPhones. Who knows, it might be coming soon to an iPhone near you.